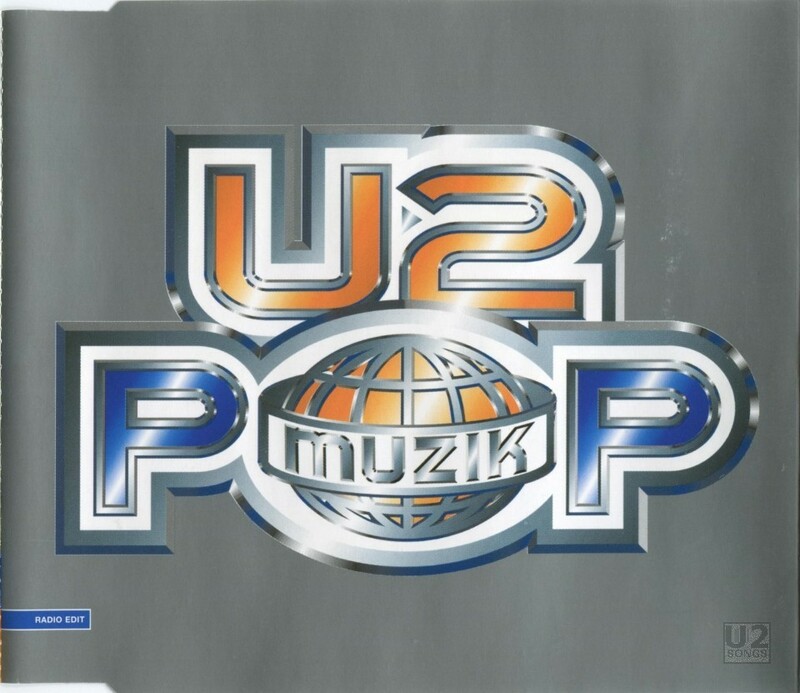 This promotional release in Europe featured tracks taken from the commercial “Last Night on Earth” single, and was released at the same time as the single, as the U2 tour was heading for Europe. Two releases were produced, both in the UK. The first was a 12-inch vinyl which featured the full length mix of “Pop Muzik” on one side and was backed with “Last Night on Earth (First Night in Hell Mix)”. The vinyl was black, and the labels featured the image of the Edge from the “Last Night on Earth” single. One label is tinted red, and the other is blue. The side with “Pop Muzik” is listed as Side A. The side with “Last Night on Earth” is labeled Side AA. This vinyl was released in a generic white sleeve, cut out so only the labels are seen. The second release was a 5-inch CD, in a slimline jewel case. The CD contained the “Radio Edit” of “Pop Muzik” and only that one track. The disc is custom printed with both the tour graphics and the name of the single, and a unique insert featuring the Pop Mart logo is on the front of the sleeve insert. The CD was pressed in limited quantities, of either 250 or 500 copies, although based on the availability of this single over the years, I would suggest the latter is the actual number. Words and music by Robin Scott. Vocals by Bono. Mixed by Steve Osborne. Words and music by Robin Scott. Vocal by Bono. Mixed by Steve Osborne. Mix engineer and additional programming: Ben Hiller. Assitional vocal production: Howie B. Music by U2. Lyrics by Bono and the Edge. Produced by Flood. Engineered by Mark ‘Spike’ Stent. Assisted by Rob Kirwan. Mixed by Rob Kirwan and Howie B. Assisted by Michael Harris. Additional vocal production: Steve Osborne. Decks: Howie B. Additional production and remix by Jon Carter. Contains excerpts from “TrayraBoia” written by N. Vasconcelos and D. Milan. Performed by Colin Walcott, Don Cherry and Ed Blackwell. Design by ABA, Dublin. Reproduced by Sonicon, London.